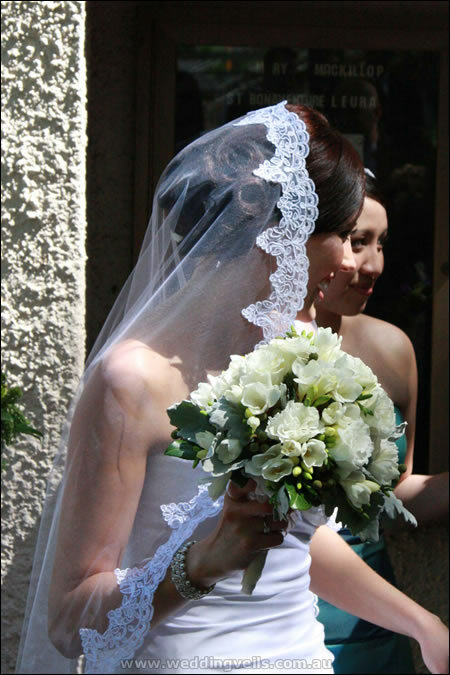 Thank you so very much for the amazing mantilla veil. I must tell you that 90% of the compliments I’ve received have been about the veil! It was the star on the day! 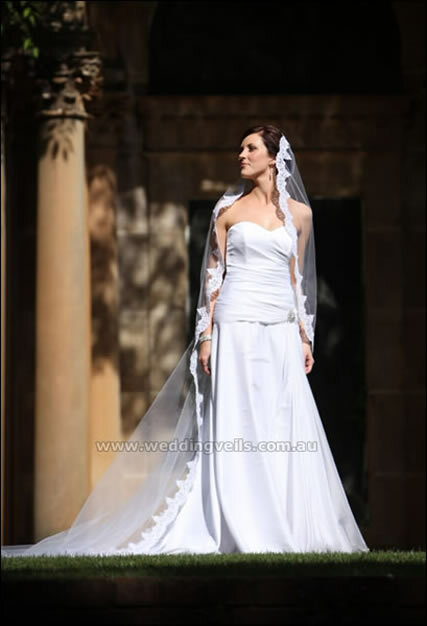 Mary’s veil is Jacqueline Mantilla veil, in chapel length.